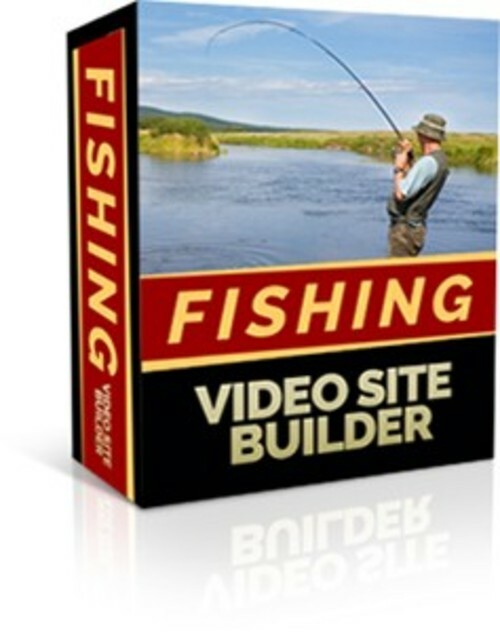 Fishing Video Site Builder (MRR ) - Download Misc. ...Built Automatically in 2 Minutes Flat"
120 videos sourced from YouTube. When you use the software, it fetches the latest selection of most popular videos for this particular niche. So when you build your site, you can be sure it will be fully up to date with the very latest videos. Content provided by extracting random snippets from a set of 20 private label articles, ensuring that your pages are unique and contain niche-targeted content. (Most other video site builders scrape the content from YouTube, so the pages are just duplicates of the YouTube pages and rated as worthless by search engines). Optional custom text ad units (instead of Adsense ad units) on each video page. You can advertise anything you want (such as affiliate links). The custom text ads are entered just by editing a simple text file. Randomly generated cross links on all pages to make the site structure different to that of any other website - and to ensure full search engine spidering of your site. Professional looking home pages, featuring thumbnails of each video. Quality header graphic automatically customized with your chosen text. Site consists of ordinary HTML pages that can be edited with any HTML editor. Site built automatically - just fill in a short form with your details and your site is built instantly, ready to upload to your web host. To create your complete video site, just activate the Site Builder Tool, enter a few details into the simple form, select your article files and click a button. A complete website is instantly built for you, ready to upload to your web host. Just enter your details and the site will be built in seconds. Upload it to your web host using your usual FTP program (or website control panel) and the site will be fully operational immediately. This is a great package - but I'm going to make it even more valuable for you, by including full Master Resale Rights free! This means you can sell the package yourself and keep all the money. Requirements: The Site Builder software is for use only on PCs running Microsoft Windows. If you want to use the custom text ads feature, your website must support PHP (most web hosts support this as standard). Popup Displayed By The Site Builder Tool: The Site Builder software displays a popup ad when you use the software, showing an offer that you may be interested in. Only a single popup appears each time you use the software. The popups do not affect the operation of the software in any way, but they allow us to offer you this software at such a low cost. Note that there are no popups on your video site - and there are no links or references to us on your built site. Earnings Disclaimer: Although video sites have been proven to be an effective form of income generation, the results are dependent on many factors outside our control. We are not therefore able to give any guarantees about the level of income that you will attain by using this package, or even give any assurances that you will earn anything at all. All About Fishing, 50 Articles!